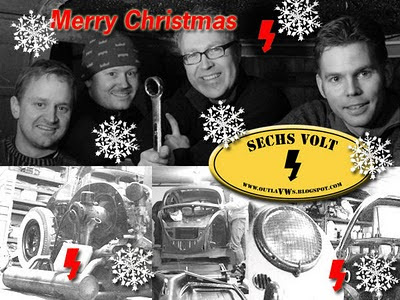 The Sechs volt Garage Blog: Merry Christmas & happy new year! The Sechs Volt Garage would like to thank you all for a great 2009. We hope for a even better 2010. Have a nice holiday, and may the presents be hard this year as well! Merry Christmas to you all and a friendly Hälsning from Switzerland!